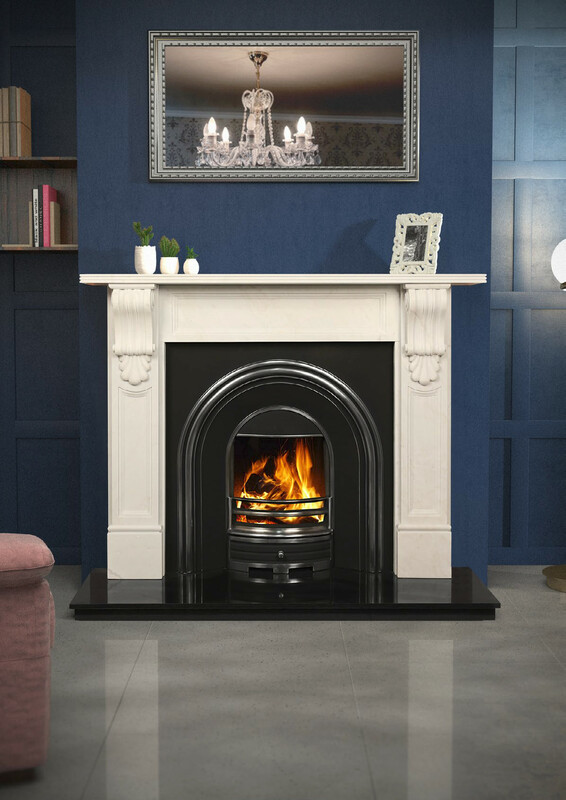 The GMS Quality fireplace collection has a range of finishes including Sienna Stone, Ivory Cream, Mocha Beige, Crema Marfil, Black Granite and Solid Oak. 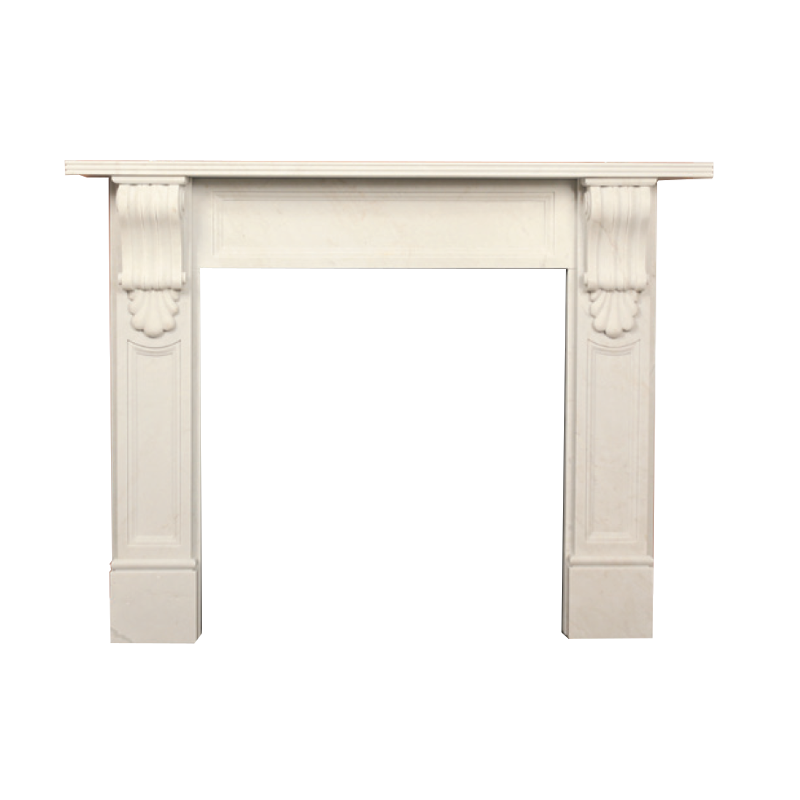 The William Sorrento White Marble is featured with a Mourne Cast and black granite hearth. SIENNA STONE is a natural stone rich with beautiful natural tones and is exclusive to the GMS Collection. With warm rustic tones at the base of this natural stone, Sienna Stone is the perfect choice for a home with warmth and unique style. 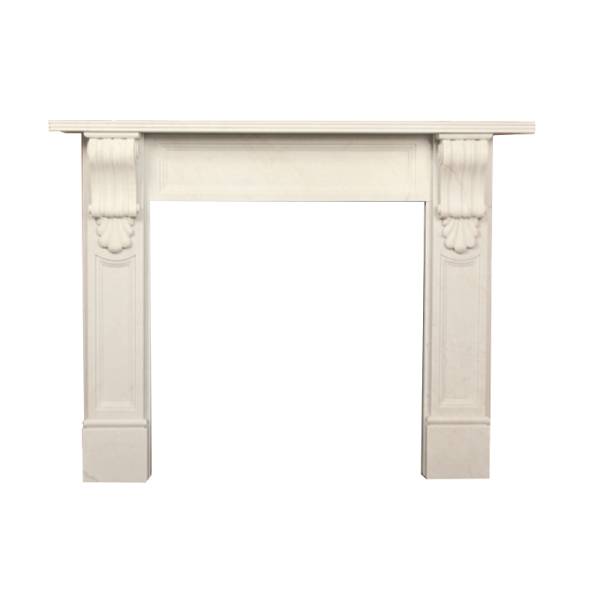 IVORY CREAM is a staple favourite in Irish homes and with its high quality finish, Ivory Cream has a continued impact with interior design trends. MOCHA BEIGE is a contemporary cream colour which has a neutral warm finish which is complimented by light veining, fitting perfectly in your room creating an outstanding centrepiece. BLACK GRANITE is a strong jet black which is hard wearing, classic and timeless. 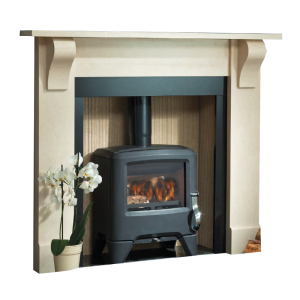 SOLID OAK a natural Oak tone the Forest Collection brings a natural warmth to the centre of the room. CREMA MARFIL is a classic cream natural marble with distinctive veining throughout the marble making each surround unique. 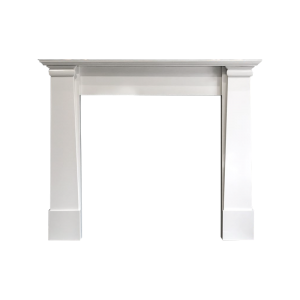 SORRENTO WHITE MARBLE is a new natural marble to the Quality Surround Collection and a sought after choice by interior designers. 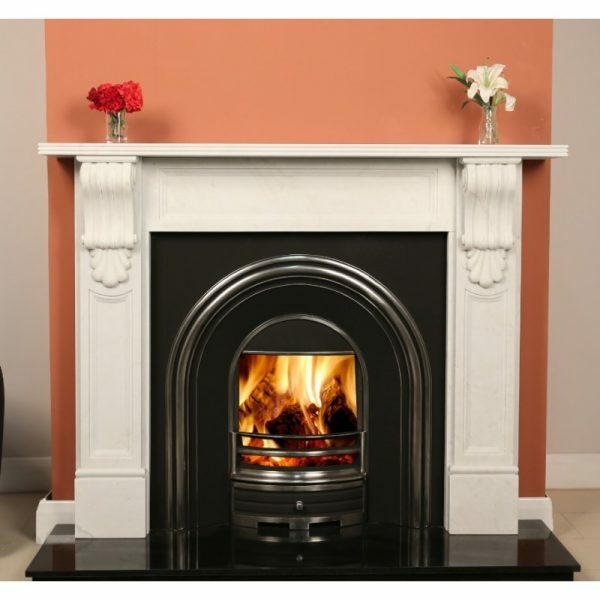 A classic white marble featuring a soft beautiful grey vein throughout. Each surround is individual and unique to its home.